For savings that go above and beyond, you can trust Acura Sainte-Julie! 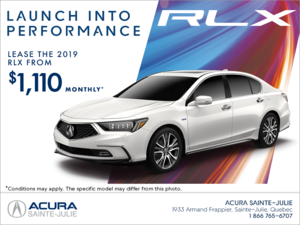 We are your number-one Acura dealership in Sainte-Julie because we want you to save money all year round. 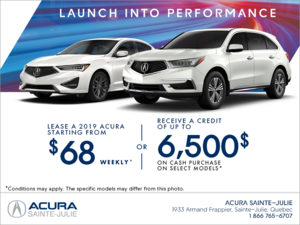 We offer cash rebates, rate reductions, discounts, special leases and much more on all of our new Acura vehicle inventory. 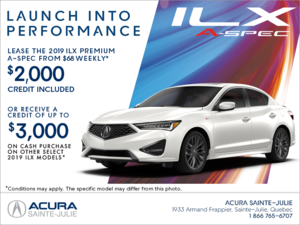 Thanks to our regularly-updated special offers, financing or leasing a new Acura vehicle has never been more affordable. With different offers available on our new vehicles, you are bound to find the perfect new Acura for your lifestyle and budget. 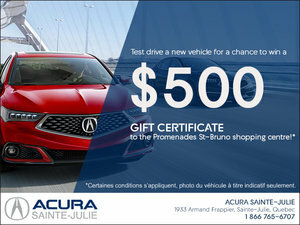 Acura Sainte-Julie has monthly offers from our Acura manufacturer as well as promotions on our pre-owned inventory. 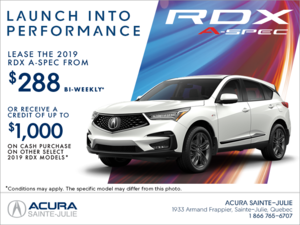 We even have seasonal offers on our services to ensure that your vehicle is ready for whatever the season has to throw at it, winter or summer! 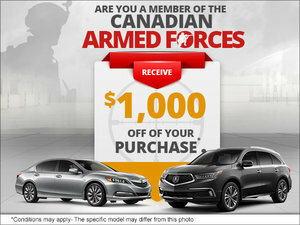 Visit our site often so that you don’t miss out on any of our exclusive special offers. For more information about our special offers and seasonal promotions, call us today by phone or get in touch using our online contact form. Our representatives are happy to answer all for your questions and update you about our new offers. 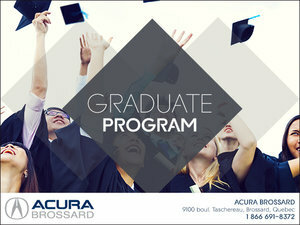 We want to keep you and your wallet happy when dealing with any Acura product or service.